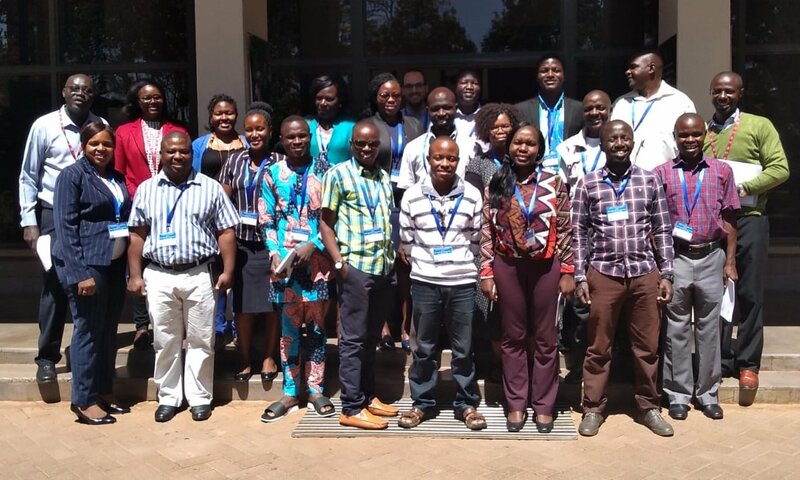 Members of the CONNECTED management board are actively looking to arrange further virus and vector diagnostic training for its early career researcher members, following the resounding success of the course it ran in Kenya in March 2019. 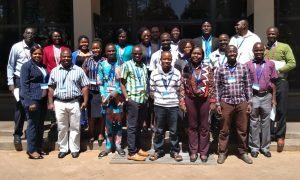 An innovative partnership between CONNECTED and Biosciences eastern and central Africa – International Livestock Research Institute (BecA – ILRI) Hub enabled 19 delegates from 10 countries (Benin, Burundi, Democratic Republic of Congo, Ghana, Kenya, Nigeria, South Africa, Tanzania, Uganda and Zambia) to take up fully-funded places at ‘An introduction to virus and vector diagnostics’, a five-day course which took place in Nairobi at BecA-ILRI Hub. “We have now been able to analyse feedback from delegates, and it is remarkably positive”, says Prof. Neil Boonham, CONNECTED Network Co-Director. 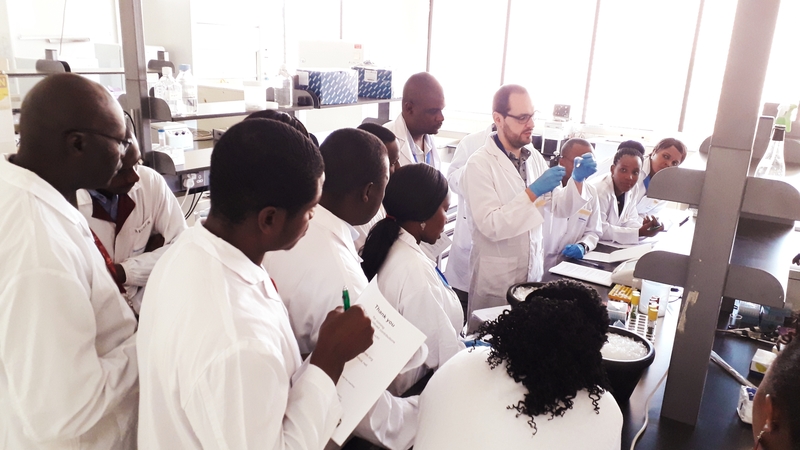 “The feedback highlights the huge value of providing this sort of training to share and spread good practice in virus and vector diagnostics to help improve food production and food security in Sub-Saharan African countries. “Vector-borne plant diseases contribute to food insecurity, hunger, and limited economic development. Tackling these diseases is the CONNECTED network’s mission and, if we are to succeed, scientists in Africa need to be able to detect the viruses and identify the insects that carry and spread the viruses that are responsible. Jacob Mignouna, Director of BecA-ILRI Hub, said: “The training workshop had scientists coming from all over the continent to learn new technologies and new methods of virus detection. “On their return home not only are they applying knowledge of the new methods to their own programmes, but they are also able to pass the information to their colleagues in their national programmes. Overall course organisation achieved the top possible marks from 82 per cent of delegates. Each and every delegate confirmed their intention to share their newly acquired skills and knowledge with others in their network. They were asked how many people this would involve, and their responses show dissemination will now be taking place to a minimum of 350 colleagues in their networks across the 10 countries represented. 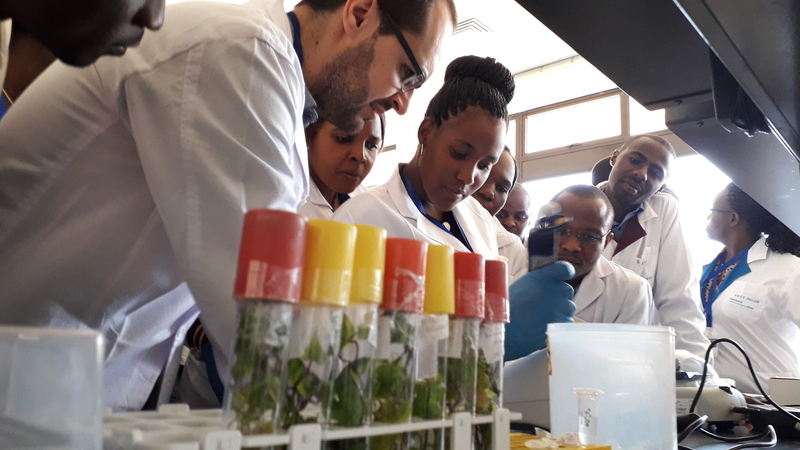 Collectively the delegates confirmed they would do this through a combination of lectures, laboratory practicals, seminars & tutorials, research supervision, articles, newsletters, blog posts and funding reports. “The fact that nearly 90% of survey respondents said they would recommend attending a CONNECTED course to others underlines the need for our management board to actively consider similar training,” added Prof. Boonham. “We are hopeful we will be able to bring good news of future opportunities in the months ahead. Course delegates applied to a call from the CONNECTED network to attend the course. Successful applicants took up places which were fully funded, including travel, accommodation, course fees and subsistence. They came from 10 countries: Benin, Burundi, Democratic Republic of Congo, Ghana, Kenya, Nigeria, South Africa, Tanzania, Uganda and Zambia.